Into Vintage stuff? 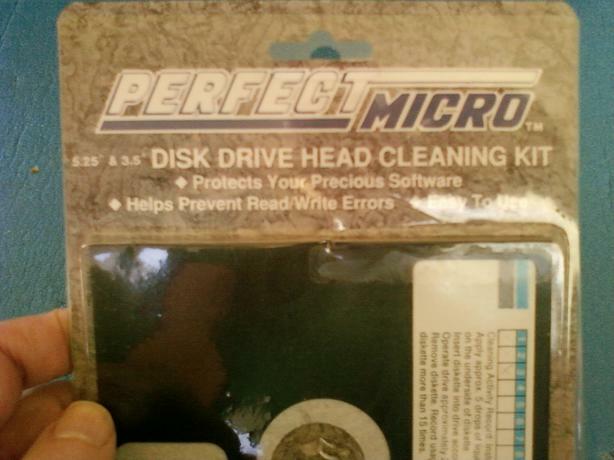 Here's a free 5 1/4" cleaner disc for your floppy disc drive. (Isopropyl alcohol not included but almost any alcohol should work ok, so long as it doesn't leave a residue, eg. on clear glass). Used 3 (out of 15 which is the suggested maximum) times. Does not include the 3.5" cleaner disc for a 3.5" floppy disc drive. Please let me know what Specific day(s) / time(s) would work for you to pick up (James Bay area), in your initial inquiry. Once gone, this ad will be removed (so, pardon me if I'm slow to respond to just "is it still available?" queries).